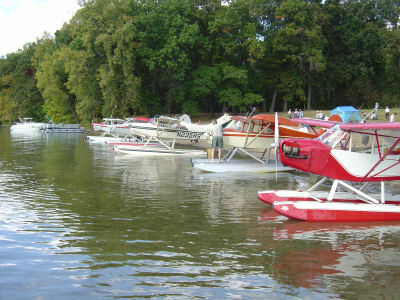 About 30 seaplanes will land on Indiana’s Lake James this weekend a part of the 11th annual Seaplane Splash at Pokagon State Park north of Fort Wayne. (Angola, Ind.) Herald Republican reports the planes will land and take off in Lake James. The aircraft will be parked either on the beach or the lawn of the Potawatomi Inn. Strebig says some of the pilots travel hundreds of miles for the event. All activities will be on the beach and the inn’s lawn area. To visit the event website, click here.